There is nothing like a boat ride through Louisiana’s Wax Lake Delta. This lush landscape, teeming with birds and wildlife, is an example of what Louisiana’s coast can look like if we use the Mississippi River to build land and increase the state’s resilience to storms and rising seas. It’s truly a beautiful place. In stark contrast, a short plane ride over the region from New Orleans shows the true reality: Much of Louisiana’s coast is disappearing, as coastal wetlands cut off from the Mississippi River turn into open water. This Swiss cheese effect is startling when seen from the air. The best way to see and understand Louisiana’s land loss crisis is by plane or boat. Unfortunately, it’s impossible to scale these trips or bring everyone to the coast. How do we replicate that bird’s-eye-view and on-the-ground experience? Rather than bringing people to the coast, how do we bring the coast to people? The answer: virtual reality. EDF and the Restore the Mississippi River Delta coalition did just that when we created “Coast 360: A Virtual Day in the Delta.” This innovative, 360 video experience uses technology to take viewers to the forefront of Louisiana’s land loss crisis and show them areas of the coast that are losing – and gaining – land. Coast 360 helps make this crisis, and the restoration solutions available to help fix it, more accessible and easier to understand. 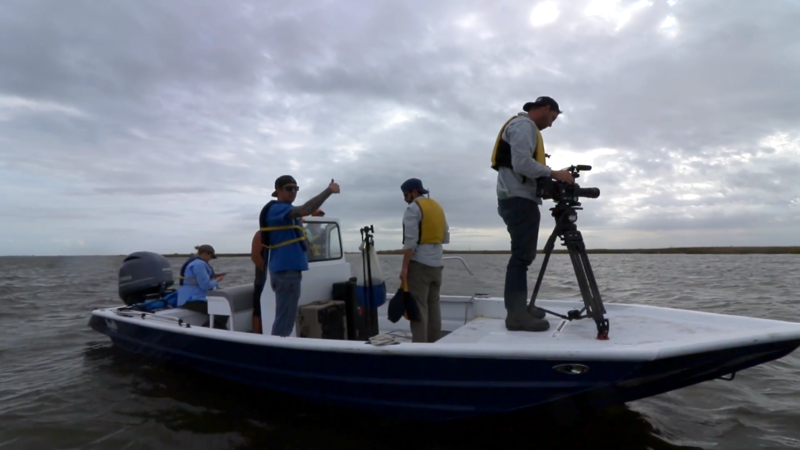 It’s our hope this 360 video experience will help more people better understand why and how we can restore America’s largest delta to help protect the people and wildlife that call coastal Louisiana home. Learn more and watch the full video at MississippiRiverDelta.org/360. This entry was posted in Coasts, ecosystems and tagged 360 video, coastal resilience, coastal restoration, land loss, Louisiana, resilience, restoration, solutions, technology, virtual reality, wildlife. Bookmark the permalink. Both comments and trackbacks are currently closed.